It was spring and there were strawberries everywhere. Little stands on just about every street sold punnets of them. The vast farmers’ market in the city centre was overloaded with them. The prices varied, but only between cheap and very cheap. If you’re ever suffering from a craving for strawberries, then Zagreb in springtime is the place to provide relief. There is, of course, a lot more to see in Zagreb than strawberries. The city is essentially in two parts, the Upper Town and the Lower. Gornji Grad, the upper part, is Zagreb’s historical centre with its great Gothic cathedral, Croatia’s tallest building. Like Venice, Zagreb has a St Mark’s Square. This is also in the old town and houses a number of government buildings, evidenced by the slightly sinister looking collection of men in black that hang around the area. 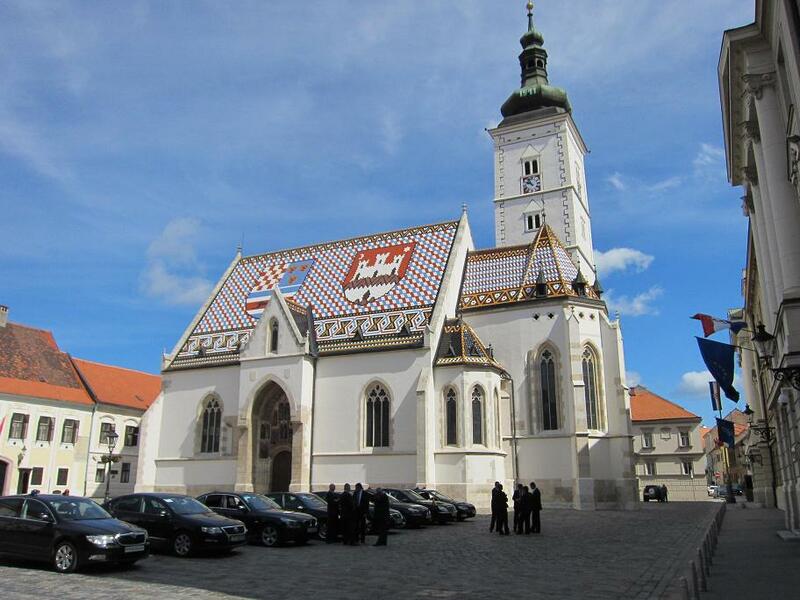 Rather smaller than the cathedral, but no less striking, is St Mark’s Church with its chequerboard roof that portrays the Croatian flag. The flag is a three-part affair that comprises the flags of the Kingdom of Croatia (red and white), Kingdom of Slavonia (white and blue) and Kingdom of Dalmatia (red and blue). Nature lovers should look out for the pine marten, the symbol of Slavonia, that scampers across the middle of the flag. The other significant church in the old town is the elegantly Baroque St Catherine’s. Many of the buildings around it were the property of the church, but are now secular. Several are galleries or museums. One of these is the Zagreb City Museum, housed in a former convent. First impressions suggest that it’s not particularly interesting, but it gets better as you go further into the building. It does very much as its title suggests, taking you on a tour through the history of Zagreb from Roman times to the present day. This is very mainstream, of course, but this being the Balkans, expect something a bit odd to turn up. Not far away in the Old Town is the Museum of Broken Relationships, a positively mad collection of items donated from all over the world. The theme, rather obviously, is of those things that are left behind after failed love affairs. 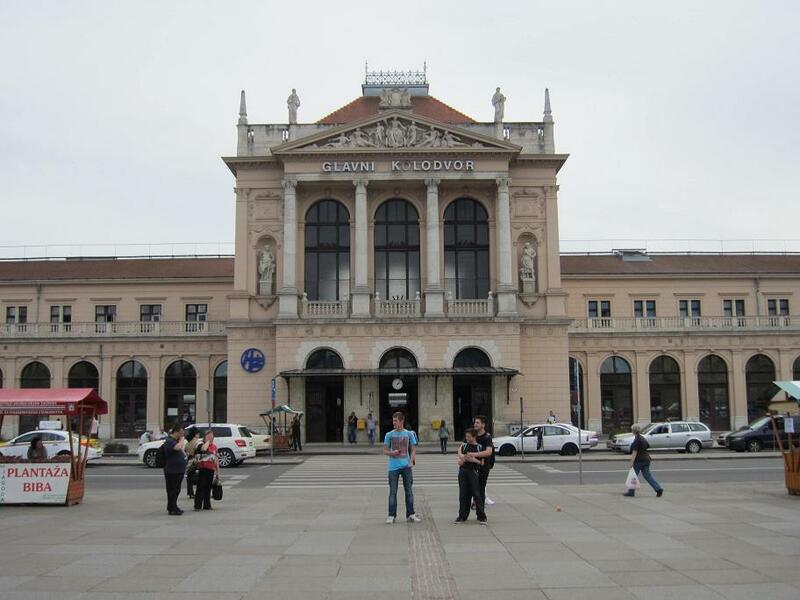 Zagreb also has a Railway Museum, which has an eclectic assortment of photos, videos and equipment. If the collection is a bit haphazard, so too the opening times. They don’t always seem to have staff available to keep the place open, but train buffs can console themselves by walking a little further to the superb, Neo-classical railway station just to the south of the city centre. The Archaeological Museum is well worth a look, packed with ancient artefacts and hosting a substantial Egyptian collection. Check out the ‘Zagreb Mummy’, taken home from Alexandria by a Croatian official from the Hungarian Royal Chancellery. It’s not so much the mummy that is interesting, but the wrappings. These were discovered to be covered in Etruscan writing, so unusual that the text is, for the most part, untranslated, so little being known about the language. The city is straightforward to navigate and is, generally, quite flat. The Upper Town, if we can state the obvious, is uphill, but it’s not a huge hike and there is a little funicular to help out. Beyond the Upper Town, there is the opportunity to escape from city life, with plenty of green space and some pleasant woodland walks. The Lower Town has its own escape area in the shape of the botanical garden. It’s not the biggest around, but it’s a nice place for a stroll or a sit down. On a hot day, it’s a welcome haven in which to cool down under the shade of a tree. There are set opening times, but it won’t cost you anything. 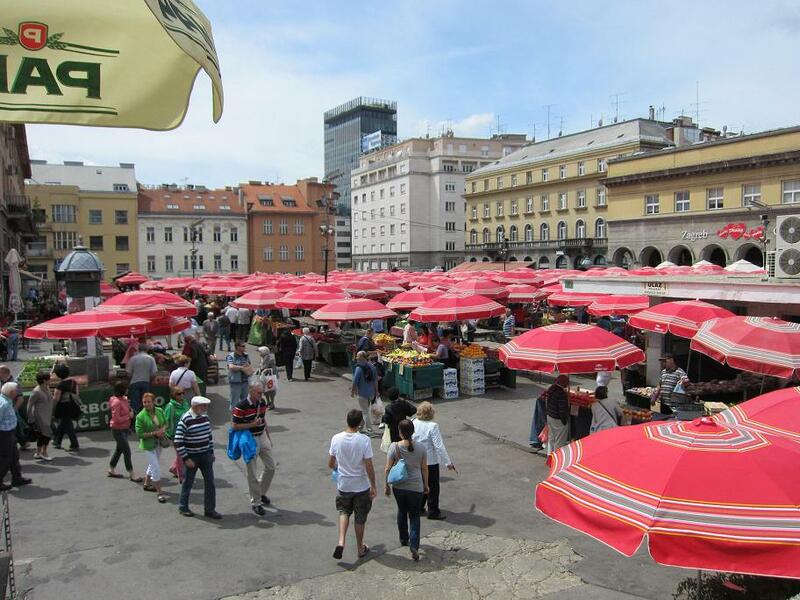 Zagreb does not lack for cafés, restaurants and bars, and there’s no need to spend a fortune on refuelling. Croatian wine is mostly for the internal market, which is something of a shame (not for locals, obviously), as it is very good. There is also a decent range of beer, with some excellent dark stuff among the Pilsener-style lagers. Duck Holiday, having a significant proportion of Irish blood, is not very keen on so-called Irish pubs, believing them to be something of a travesty. Most rules, however, have an exception, and Sheridan’s Bar in Zagreb is one of them. For one thing, it is run by a man from Offaly. For another, it sells terrific beer. 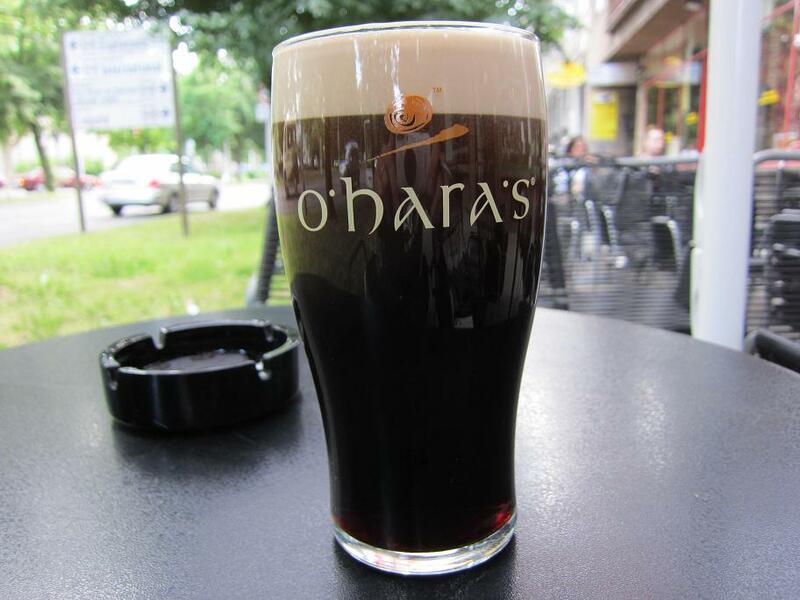 O’Hara’s Stout, from Carlow, is a proper stout, unlike the pasteurised chemicals served up by the likes of Guinness, Murphy’s and Beamish. Sheridan’s also serves ales from independent breweries in England, Scotland and the US, along with more localised stuff. Unlike most pubs of this ilk, this one is well worth an evening of anyone’s time, the only caveat being that it’s a bit more expensive than ‘local’ pubs. 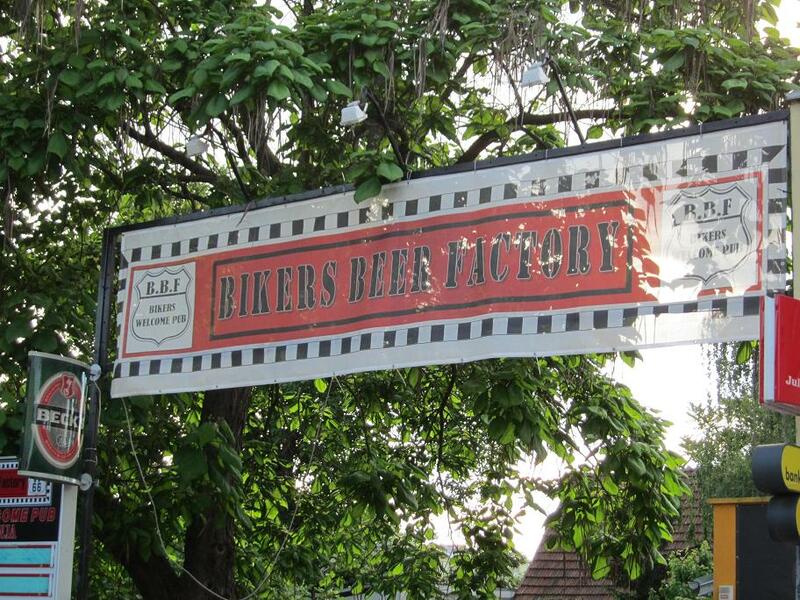 Further down the same road, if you fancy a change of scene, is the Bikers Beer Factory. This is, as you might expect, big on motorbike memorabilia. You don’t have to be a biker to enjoy it, though it probably helps. An enthusiasm for beer is more important, with the selection being more of a local nature. Beware, though of the Tomislav. This is a dark beer that could easily be mistaken for a 5% porter, but is, in fact, a rather vicious 7.3%. One thing worth noting is that the airport is a fair trek from the city. There is an airport bus that is pretty cheap (about three or four quid) and certainly a great deal cheaper than using a taxi. The latter option would set you back about ten times as much. However, the bus station is a bit out of town, so if you’re staying in the centre, allow yourself plenty of time. If you need to get to the airport very early, as Duck Holiday did, a taxi to the bus station and the airport bus will do the trick. The fares work out at about the same for each journey, so it’s still an economical option. 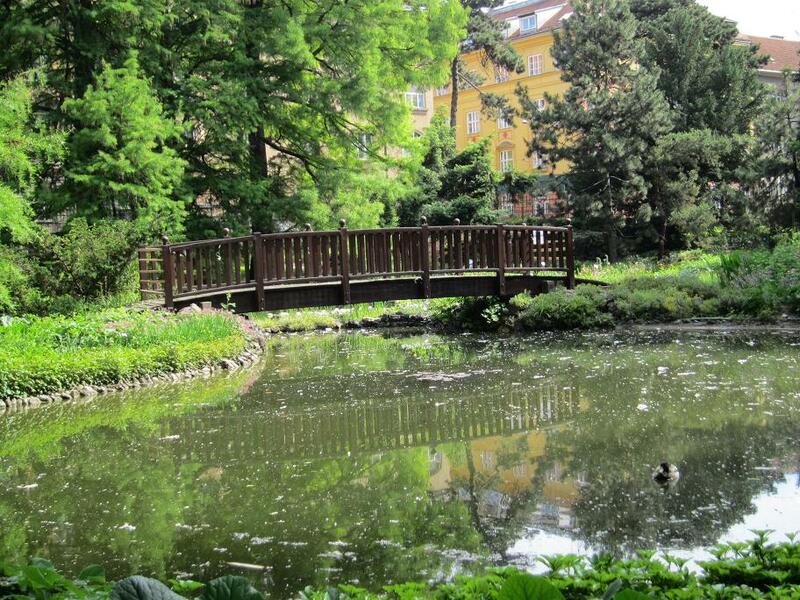 Spring is a nice time to visit Zagreb. Temperatures are warm without being overpowering. If it does get a bit hot, taking shelter in the botanical garden or slipping under an umbrella at a café is a nice option. You can sit out in the evenings with a glass of something and watch people rushing around. If it rains, there are plenty of things to keep you amused. And, of course, you can indulge in those strawberries. 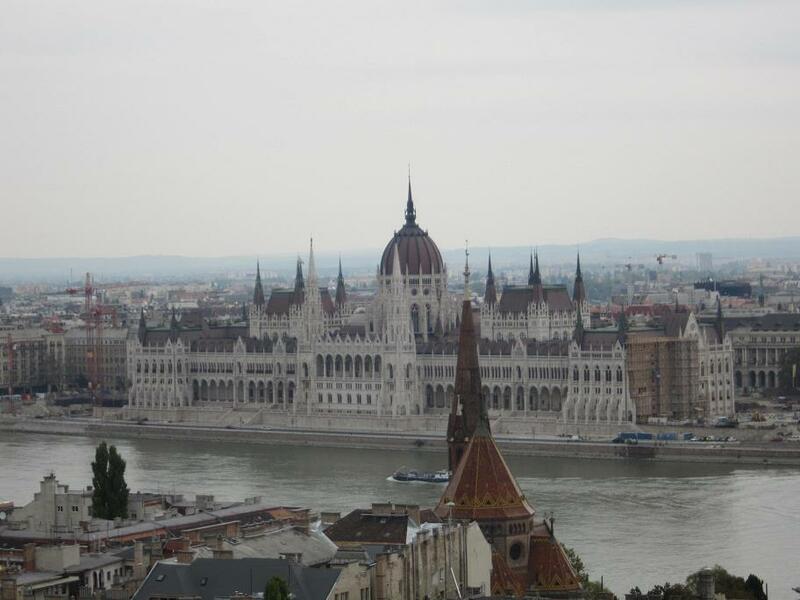 Budapest is really two cities that face each other across the Danube. For those familiar with the north east of England, this is rather like creating a single place called Newcastlegateshead. It may seem absurd, but Buda and Pest were separate entities until late in the 19th century. In very simplistic terms, Pest, on the eastern shore of the river, is the flat part and Buda, to the west, is the hilly bit. 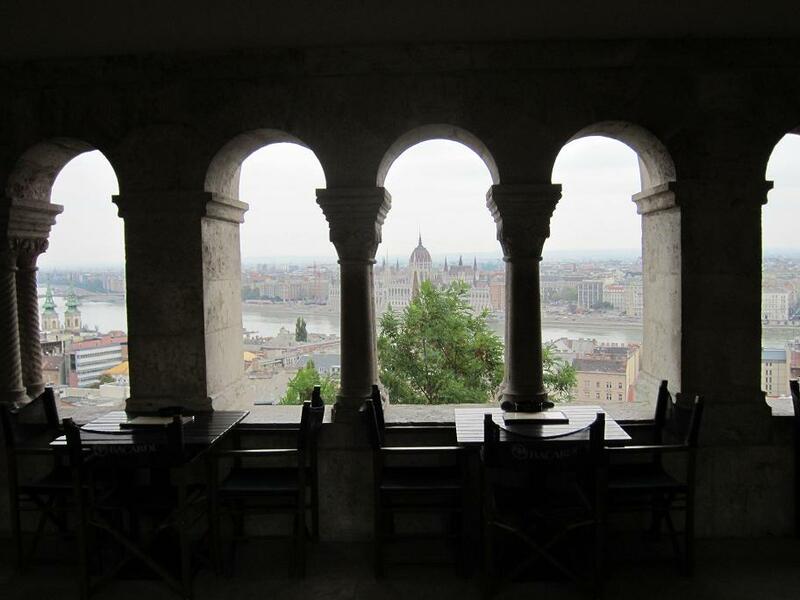 Naturally enough, the castle is on the Buda side, overlooking the river and it is a fine place from which to view the Pest embankment and the Parliament building with its unrepentantly Gothic style. The Parliament, built just after the merging of the cities, bears more than a passing resemblance to Britain’s Houses of Parliament. This is not a coincidence – the London building provided the inspiration for its Hungarian equivalent. Back on the Buda side, the castle was initially constructed in the 13th century, but, as with almost any medieval castle, has been rebuilt and reconstructed on many occasions. 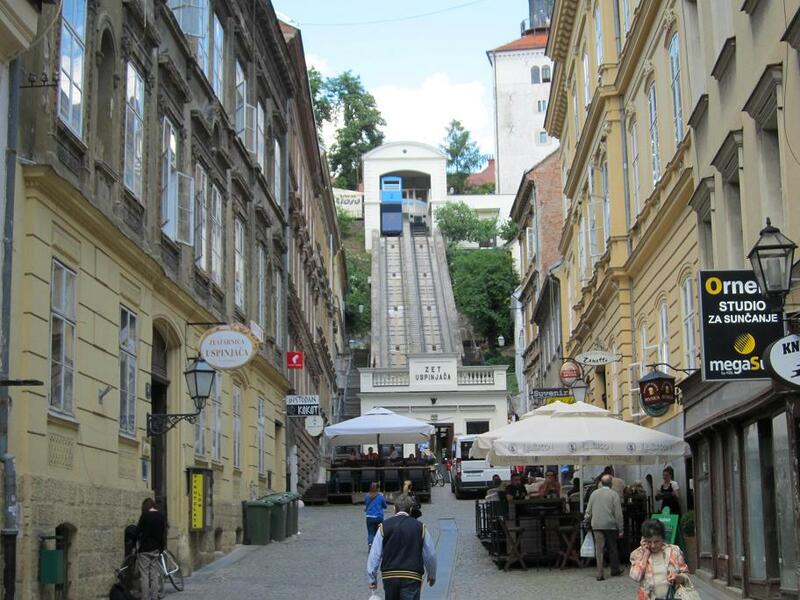 A stylish little funicular can get you to the top of the hill to save the legs, if not the wallet. There are two particularly fine museums at the castle complex, the Budapest History Museum and the National Gallery, which is primarily devoted to Hungarian art. A Budapest Card will allow free entry to both. There are cards that cover 24, 48 and 72 hour periods. If you’re on a city break or something similar, the three-day version is pretty good value. It costs about £25, which sounds a bit pricy, but you can travel on any public transport (including the airport bus) and it allows free entry to seven museums. The Museum of Fine Arts and National Gallery are also among the participating museums and most other museums offer some form of discount, so if you’re planning to enjoy a bit of culture, the card is very worthwhile. You can even have a free walking tour with a guide if you fancy it. Walking in Budapest is, largely, a pleasant experience, with the caveat that there is always a lot of building work going on, so you won’t necessarily always be able to follow the map. Occasionally, something that looks like a straightforward walk might involve a bit of a detour. 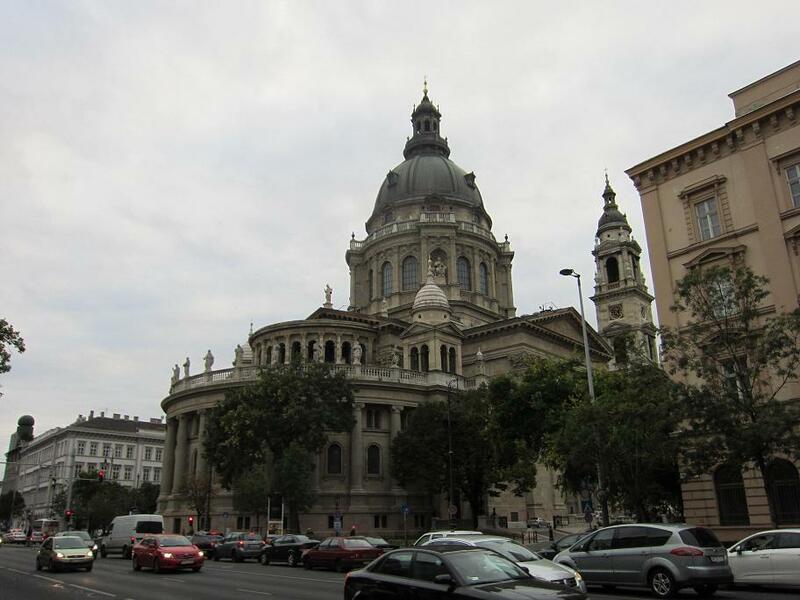 Something that’s impossible to miss is the vast St Stephen’s Basilica. This huge Neo-Classical edifice took over fifty years to build, not helped by the collapse of the dome and the subsequent total rebuilding. It’s possible to ascend to the modern, rather safer, dome and enjoy a full view of the city. 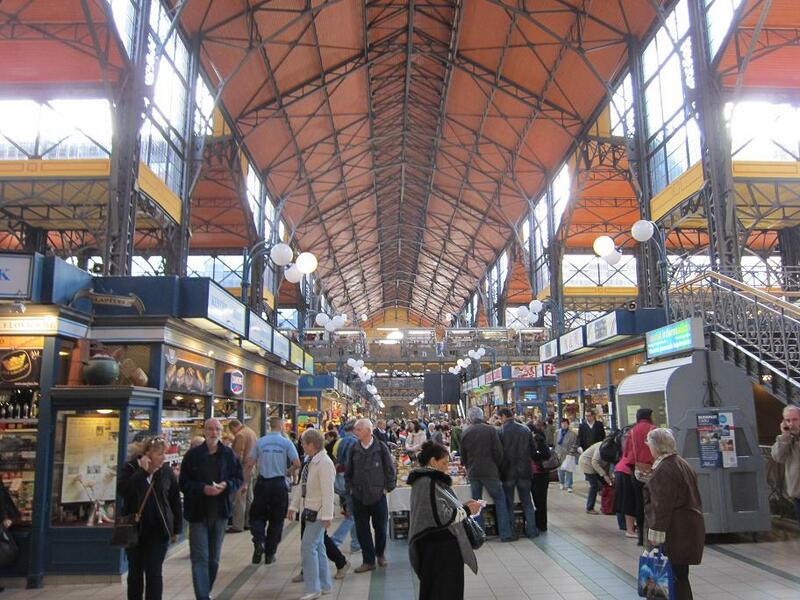 Down at ground level, the Central Market is well worth a visit. It does, in fact, extend to three floors and the myriad stalls sell just about any kind of food you can think of. There are frequent ‘National days’ featuring foods from particular countries. The market is undoubtedly a tourist magnet, but locals shop here, which is as good a recommendation as any. There is more than food, with shops selling various craft products. Even vehement non-shoppers might grudgingly accept that this market is a pleasant way to spend an hour or two. Bizarrely, one figure that you’ll encounter, thankfully only in statue form, is Ronald Reagan. 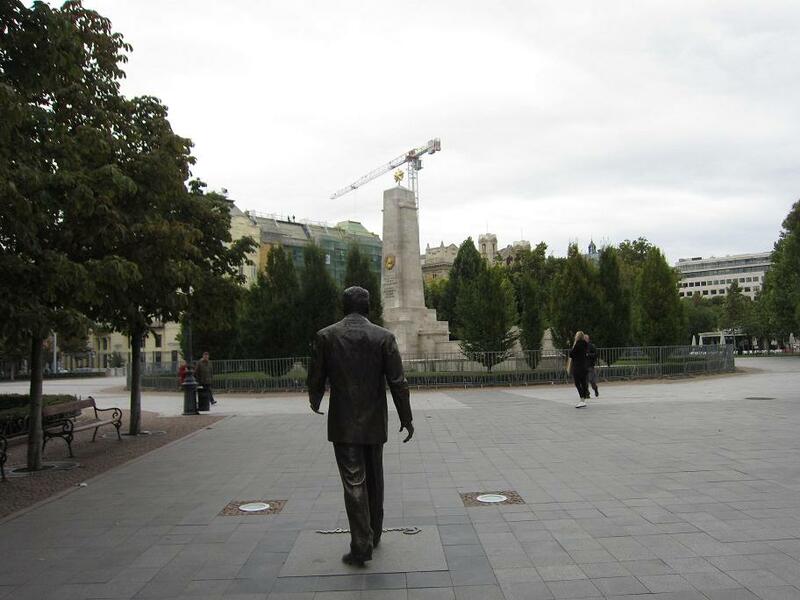 The late American president never actually visited Budapest, but someone has seen fit to raise a statue of him. In a splendid piece of irony, Ronnie is left to gaze at a Soviet war memorial. There is certainly no shortage of things to see and do. Budapest has more than 200 museums and 40 theatres, along with several other concert halls. There is a large and varied collection of churches and Europe’s largest synagogue. Look out, too, for the glorious piece of Art Nouveau that is the Gresham Palace, once a residence for wealthy Britons associated with the Gresham Life Assurance Company, but now a hotel. The Budapest Metro is not huge and most of it is on the Pest side of the river. It is, though, the second oldest underground railway in Europe, after the London Underground. There are currently three lines, with a fourth under construction. Oddly, the trains are all of different types on each line. It’s worth taking a trip on Line 1 (yellow line), a relatively short diagonal that runs from the centre of Pest under the stylish Andrássy Avenue, terminating at the City Park. The little yellow trains and the rather quaint stations look as though they belong to a completely different era. The experience is rather like travelling on a small subterranean tram. Once you’ve reached City Park, expect to spend some time there. Hősök tere (Heroes’ Square) contains a plethora of statues and monuments to figures throughout Hungary’s history, with the Millennium Memorial as its centrepiece. 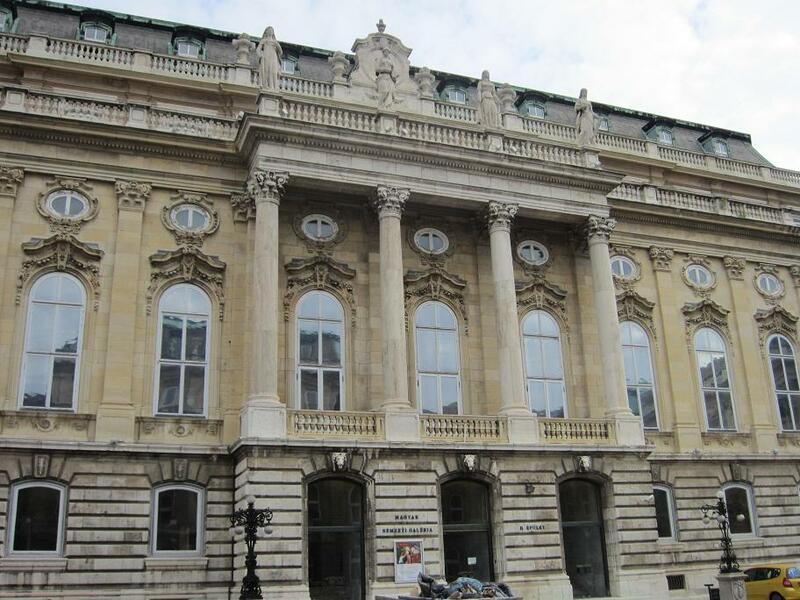 To either side of the square are two Neo-Classical art galleries, The Palace of Art (Műcsarnok), which holds temporary exhibitions of contemporary art, and The Museum of Fine Arts (Szépművészeti Múzeum). The latter has an extensive collection of Egyptian antiquities (one of the largest in Europe), as well as an impressive Classical section. The highlight, however, is the Old Master collection, a veritable lesson in European art history from the 13th to 18th centuries. The Spanish collection is notable, with works by El Greco, Vélazquez and Goya. In all, there are some 3,000 paintings in this part of the museum. Also to be found in City Park is the lavishly Neo-Baroque Széchenyi thermal bath complex, Europe’s largest medicinal bath. Thermal baths are something of a Hungarian speciality and the Széchenyi is a substantial affair with indoor and outdoor facilities. If you’ve taken the yellow line metro, one option is to retrace the journey on foot, because Andrássy Avenue provides an interesting walk. The street is full of Neo-Renaissance buildings, cafés, restaurants and shops. The delightful Opera House is situated here and even if you’re not going to a performance, it’s worth simply popping in for a look at the richly decorated foyer. This is, indeed, the grand opera. 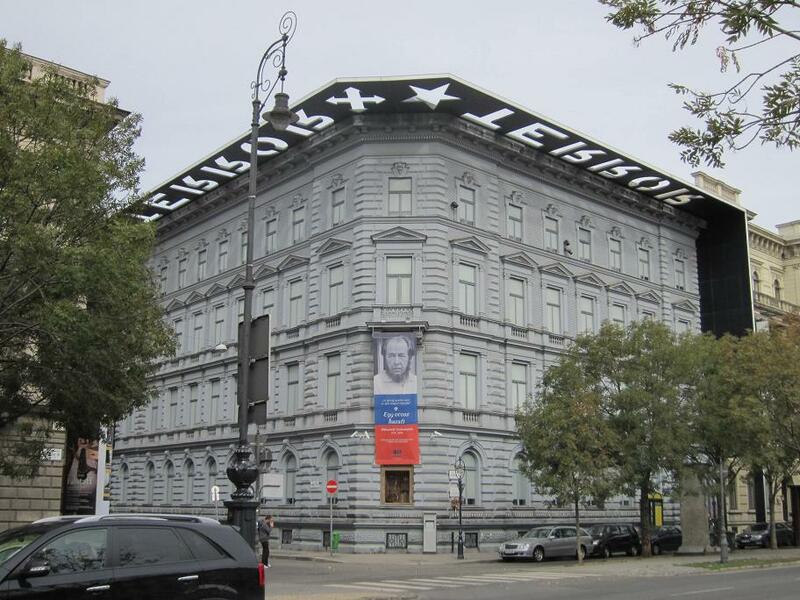 Another notable building on Andrássy is the House of Terror. This museum concentrates on the period of the 20th century when Hungary was under Soviet and Nazi control. It is certainly an interesting and thought-provoking museum, but a personal view is that the presentation is rather over-the-top, with its penchant for flashing lights and throbbing music. Budapest can be a little expensive in terms of food and drink, but it doesn’t have to be. As ever, the more tourist-orientated areas will cost a bit more, but even in the central part of Pest, there are plenty of places where you can find good value. Hungarian food tends towards the meaty, but most places have a vegetarian option and there are some very good Indian restaurants (the Indigo is especially impressive) where a filling meal and a couple of beers will give you change from a ten pound note. There is a host of restaurants around Liszt Square, across from the imposing Academy of Music. Lovers of dark beer (Duck Holiday owns up) should consider the Bohemia Restaurant, which serves a few different beers including the tasty Prágai tavasz (‘Prague Spring’), a Czech-style dark beer that is friendly for session drinking. It’s a bit thin on the veggie options, but a cheese tapas selection and a few glasses of Prágai tavasz make for a very pleasant evening. Budapest is unquestionably one of Europe’s great capitals, boasting many World Heritage sites and, of course, the magnificent Danube. There is never a bad time of year to visit a city this impressive.